Best suited for oil but also suitable for acrylic. 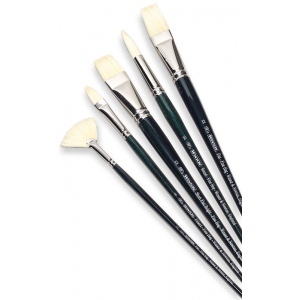 * Interlocked stiff bristle for control of full-bodied color and durability. * Fine quality and versatile.